Last week, Oracle revealed they had paid FOSS Patents writer Florian Mueller as a consultant during its patent infringement trial against Google. The disclosure was the result of an August 7 court order asking both companies to provide a list of any and all persons whose coverage of the case may have been influenced thanks to payments from either party. Google didn't report any payouts, claiming they hadn't issued payments to "journalists, bloggers, or other commentators to write about this case." However, the presiding judge disagrees. "In the Court's view, Google has failed to comply with the August 7 order," U.S. District judge William Alsup said in a statement. Alsup is now seeking a complete list from Google of all possible commenters that "have received payments as consultants, contractors, vendors, or employees." 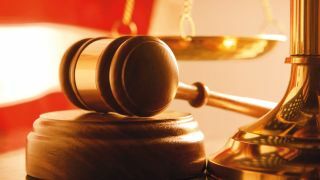 The court's order came about after Alsup expressed concern over financial relationships having a direct impact on online coverage of the case. Google will have until 12 p.m. (PST) on August 24 to provide the court with the requested documentation. According to Alsup's statement, Google hasn't responded to this point because the company says they've paid so many people it will be too difficult to track them all. Alsup isn't buying Google's excuse, stating the court "wasn't asking the impossible," and pointed out Oracle was able to comply quite easily. While no discussion of penalties for not complying with the order a second time are mentioned, it will be interesting to see if Google does hand over a list of paid contributors, and what the judge does in the event Google tries stonewalling the court again.